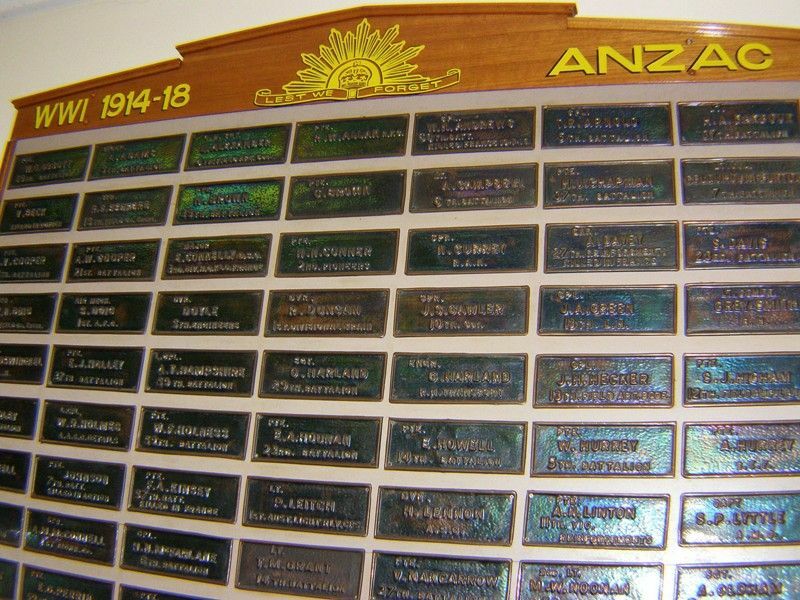 A display of plaques, which were located on the Sandringham Avenue of Honour, commemorates those from the district who served in World War One. The Avenues of Honour at Sandringham and Black Rock were planted on the 18th August 1917. After many years of growth the Sandringham City Council removed the trees for road widening purposes and also at the time when the tram tracks were removed. The plaques which still existed were recovered and deposited in archives until rediscovered. These plaques were then presented to Hampton and Beaumaris R & S.L. Sub Branches in equal numbers. the district on the splendid manner in which they proposed to commemorate those who had gone to fight for their liberty. Sandringham had done well in regard to its sons, who had gone forth at the call of the Empire, and their record would compare favourably with any other district throughout Australia. The ceremony at Black Rock was delayed until the arrival of a number of leading citizens from the Sandringham function. Rain, however, commenced to fall as Mr. Snowball, M.L.A started to plant the first tree, the large gathering of residents remained to the finish. Mr. Snowball, M.L.A., referred in one of his characteristic speeches to the splendid patriotism shown by the young men of the district, and expressed the -hope that the planting of the avenues of honour would unite the people together with greater ideals of service and sacrifice for one another. Altogether 13 trees were planted, and it was announced that the ceremony would be continued on both sides of Bluff road until the list of the volunteers was exhausted. Brighton Southern Cross (Vic), 25 August 1917.